To her friends, Bella Donna seems like any other schoolgirl. 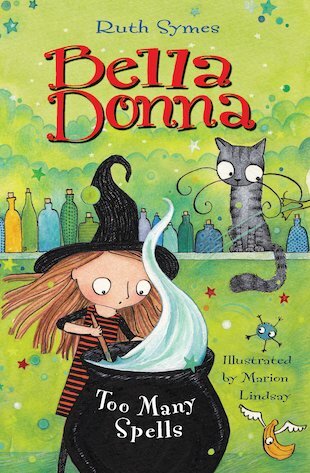 But she has a secret – she’s really a witch! She’s working hard at learning her spells, and is desperate to win the Spell-Casting Contest. But it’s not easy to juggle normal life with secret magical training. And when strange things start to happen at school, Bella begins to wonder if her magic is spinning out of control! Bella Donna is a very very funny witch with a weird imagination. It’s also weird that Bella Donna lives with a young witch. it makes me want to read the rest of the series.